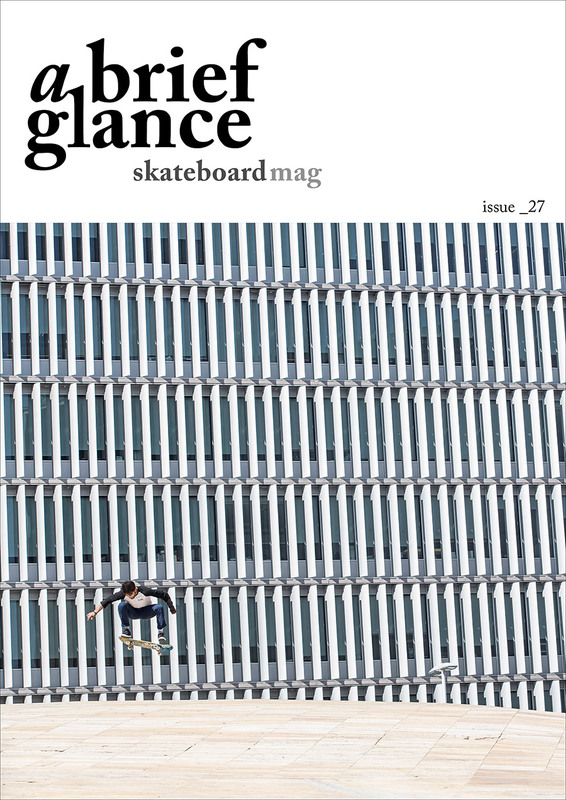 Welcome to a brief glance skateboardmag issue_27. We have the pleasure to present you a brief glance issue_27. FRAGMENTS // James Bush, Flo Mairfaign, Sergio Pontillo , Torey Pudwill. La Vuelta a Fuerteventura // carhartt pedaling in the dust. Time to shine // Pietro Bontà_interview. Dusted Off // Pat Duffy & Kelly Bird 1994. On the cover: Ale Cesario // Fs kifckflip in Lisbon // photo Davide Biondani.